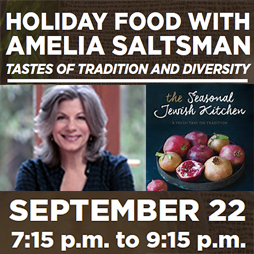 September 22, 7:15 p.m. – 9:15 p.m.
Join an evening of lively conversation and delicious food with Amelia Saltsman, author of the sensational cookbook, The Seasonal Jewish Kitchen: A Fresh Take on Tradition and Mary MacVean from our Fair Food Committee. Amelia Saltsman traces the delicious thread of Jewish food from its biblical roots to today’s focus on seasonality and sustainability and explores the deep connection of Jewish traditions to the year’s natural cycles. As you look toward Rosh Hashanah dinners, Break-fast meals and other holiday gatherings, consider the seasonality of the symbolic foods of our holidays. 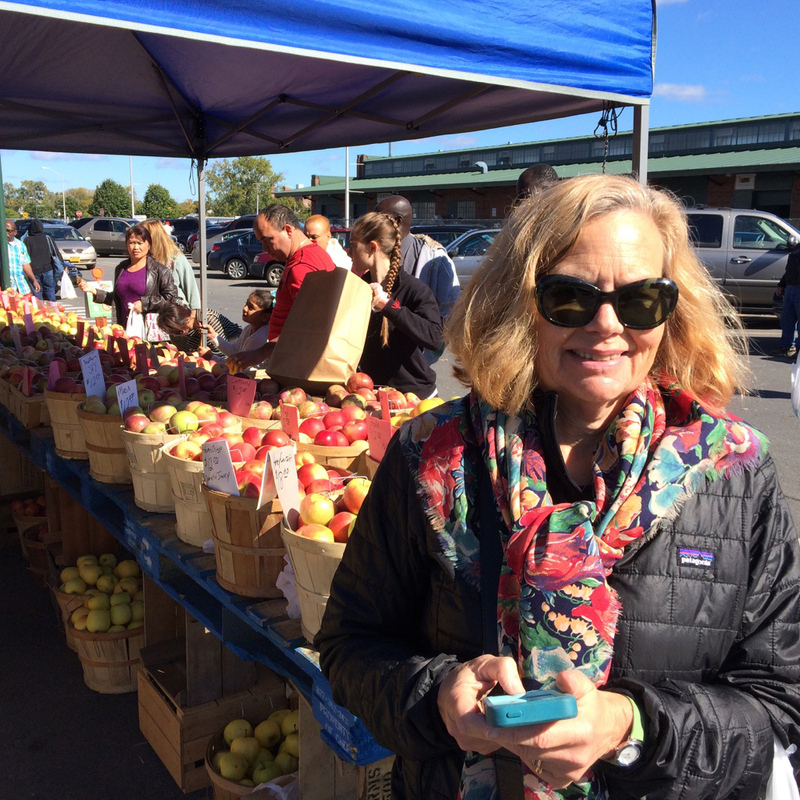 Amelia will take us far beyond kugel to appealing dishes inspired by the farm-to-table movement. We promise you’ll love spending an evening with Amelia, and you’ll leave feeling inspired for future meals.